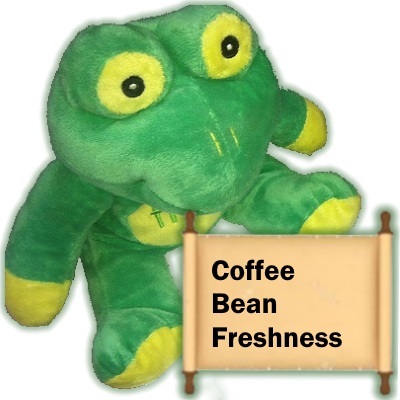 Coffee bean freshness is one of our primary drivers. We roast all our coffees to order. Once you place an order we add this to our daily roast list for either the same day or the next day. We try and deliver all our coffees within 24 hours of roasting, in Cape Town, and within 48 hours for the rest of South Africa. Since roast to order is our philosophy, this means that finding our coffee at a retail store is unlikely, unless we are in control of the freshness at that outlet. Since we remove the coffee once a week (we then sell it as last weeks blend) and ensure that the coffee is always fresh when you get it. Once coffee is removed from the roaster it starts losing flavour within minutes of cooling. Coffee then essentially changes it aromatics and flavours as it ages. So when is it best to enjoy you fresh coffee? Well that depends on the coffee, and your personal taste. We prefer coffees as close to roast date as possible, and best within 2 weeks of roasting. But we let you make up your mind, so we try and get it to you as soon as we can, and then you can determine your own preference. Freezing – Does it help? First you need to determine if coffee is correctly roasted. This means that the oils are retained in the roasted bean. Then the bean must be gently air cooled as it comes out of the roaster, as we do with our coffee. Then at this point coffee is roasted and cooled to the point that best exposes the flavour and oils are in tacked then coffee can be frozen. We have done our own tests on our own coffee and you can look for further detail other independent studies. We have found that resting the coffee for about 4-6 hours before freezing gives the best results for our coffee. Once coffee is ground it starts losing its aromatics immediately. Ground coffee will lose at least 50% of its aroma within the first 3 hours after being ground. Freezing or vacuum packing has little effect on the delay of this process. Best case it will delay it by 30 hours. Rubbish I hear you say, what about all those coffee companies that vacuum pack and freeze dry etc. The proof is in the tasting. We find that once a coffee drinker has drunk our fresh roasted coffee they too can taste the difference. Coffee in its raw green state does age slower than roasted coffee. The time it does last is dependant on a number of factors. Bean density, real average moisture level (determine by how it is dried) and how it is packaged at source. Typically a green coffee will be at its best between 8 and 18 months, with packing making effecting it the most. If your coffee machine is serviced by us, we manage the freshness with and for you. By looking at your consumption and your facilities we adjust the supply accordingly. This ensures that we deliver coffee to match your consumption. and that typically means that for most our clients that is once a week. This can also be achieved if you own your own coffee machine. We can work with you to ensure that the coffee is fresh when you drink it. 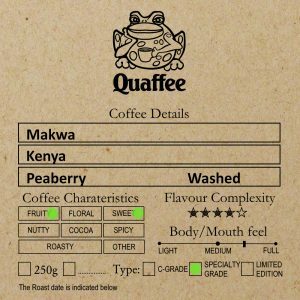 Once you have found the fresh taste you will find it almost impossible to stomach the poorer quality and stale coffees that represent the majority of the market today.